The Replacements - "Left Of The Dial" from Tim (Sire Records, 1985). The term "Left of the Dial" refers to the area of the FM radio dial where college radio stations typically broadcast due to FCC rules. These stations are lower power and have a D.I.Y. or underground aesthetic. Before the world got smaller with the advent of the internet these stations carried the news of the music scene (along with local underground newspapers and 'zines) and gave traveling underground or punk artists a safe haven. Paul Westerberg, the band's main songwriter, writes a classic song about road weariness and missing your friends while out on tour. 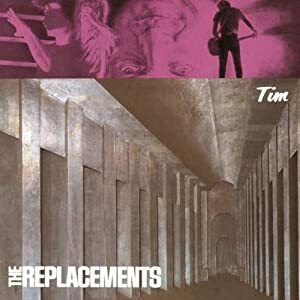 Not only is this song a classic, but Tim is arguably The Replacements best album (others may suggest Let It Be or Pleased To Meet Me and on some days they'd be right). This song influenced me to seek out that scene and that there was more to what commercial radio or MTV fed to us . Leave your suggestions for other influential records in the comments. Thoughts on this pick? Let's hear 'em! Enter to Win Tickets to see Flogging Molly Play Live in Chicago Next Saturday!